One of the most successful playwrights of her time, Susanna Centlivre was also one of the most performed female playwrights after her death. With a popularity that stretched from the 18th century well into the 19th, at least one of her plays was performed somewhere for nearly two hundred consecutive years. What biographical information we have regarding Centlivre is scant, mostly apocryphal, and hopelessly romanticized by the men who wrote her obituaries. She was born around 1669. Her family were perhaps fervent Parliamentarians, who, at the Restoration, were stripped of their land and forced into exile. Her father died when she was three, her mother when she was twelve, and she was (perhaps) left with an unkindly female guardian. Depending on the source, this turn of events led Centlivre in one of three directions: 1) she ran away from home at the age of fourteen and joined up with a troupe of traveling actors; 2) she ran away from home and was picked up by Anthony Hammond, a future minister of parliament, who convinced her to cross-dress as his “Cousin Jack” and join him at Cambridge as his lover, and where she received a university education; or 3) she married (“or something like it,” as one biographer puts it) and was widowed within a year. The first and third options seem most probable. It is likely she spent time as an actress outside London, as it is likely she married young to secure her economic future. In the end, we know Centlivre married a total of three times. The importance Centlivre seems to place on her own marital status ultimately finds its way into her plays where marriage figures as a central role in her heroines’ search for their own economic liberty. After 1700, Centlivre becomes easier to track. 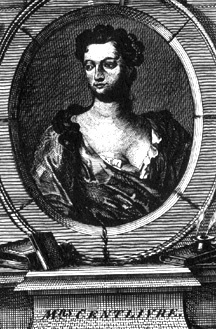 At the opening of the 18th century, she was in London, publishing plays and other writings as Susanna Carroll. She moved in literary circles that included playwrights George Farquhar, Mary Pix, Richard Steele, and Nicholas Rowe. She eventually married Joseph Centlivre, Queen Anne’s Yeoman of the Mouth (i.e. : chef), after he apparently fell head over heels in love with her after seeing her perform a breeches role. Perhaps reflecting her personal acting style (she was rumored to be rather talented in straight-shooting male roles), Centlivre’s plays are known more for their tightly constructed and fast-paced intrigue plots than for their witty repartee. Her works bridge the Restoration era and the burgeoning Augustan age, and what we see in her plays are the rakes and coquettes of Restoration comedy operating in a moralistic environment more suitable to the conservative vein of her time. However, Centlivre’s plays also strike a progressive chord by featuring strong and sensible heiresses who want it all–marriage to the men they love as well as their inherited property which is unjustly withheld by controlling, paternalistic guardians. This attention to her heroines’ economic independence is indicative of Centlivre’s larger interest in 18th century Whig tenets of political and economic liberty for the citizen (though “citizen” for the Whigs was meant “male landowner,” and later, as the economy grew with the expansion of the empire, “male merchant”). Centlivre’s heroines work hard to assert their rights to citizenship, including possession of their own property after marriage. In fact, they often use their wiles to obtain those very legal documents that will grant them independent economic security. Her resolve to create a world in which women take control of their own economic destiny is certainly a powerful‚ even feminist (in our contemporary definition of the word)‚ vision of how the dynamics between the sexes could be considered. Cotton, Nancy. Women Playwrights in England c. 1363-1750. Bucknell University Press. Lock, F. P. Susanna Centlivre. Twayne. Stanton, Judith Phillips. “‘This Newfound Path Attempting’: Women Dramatists in England, 1660-1800,” Curtain Calls: British and American Women in the Theater 1660-1820. Mary Anne Schofield and Cecilia Macheski, eds. Ohio UP. why not a Woman as well as a Man? Durham: Duke Univ Press, 1952. The Plays of Susanna Centlivre. Richard C. Frushell, ed. New York: Garland, 1982. Butler, Douglas R. “Plot and Politics in Susannah Centlivre’s A Bold Stroke for a Wife,” Curtain Calls: British and American Women and the Theater, 1660-1820. Athens: Ohio UP, 1991, pp. 357-70. Frushell, Richard C. “Marriage and Marrying in Susanna Centlivre’s Plays,” PLL 22 (Winter 1986): 16-38. Herrell, LuAnn Venden. ” ‘Luck Be a Lady Tonight,’ or at least Make Me a Gentleman: Economic Anxiety in Centlivre’s The Gamester.” Studies in the Literary Imagination 32 (no. 2, Fall 1999): 45-61. Kinney, Suz-Anne. “Confinement Sharpens the Invention: Aphra Behn’s The Rover and Susannah Centlivre’s The Busy Body,” Look Who’s Laughing: Gender And Comedy. Gail Finney, ed. Langhorne, PA: Gordon and Breach, 1994, pp. 81-98.